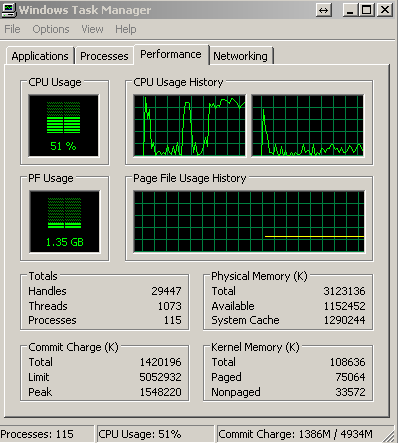 This is NxOS Emulator Titanium 5.1(2) VM image. Havent tested it thoroughly but several features seems to be not working. Copyright (c) 2002-2010, Cisco Systems, Inc. All rights reserved. penalties for copying or distribution without Cisco's authorization. limited to Cisco's internal use. expressly prohibited except as otherwise authorized by Cisco in writing. Intel(R) Xeon(R) CPU with 2066644 kB of memory. 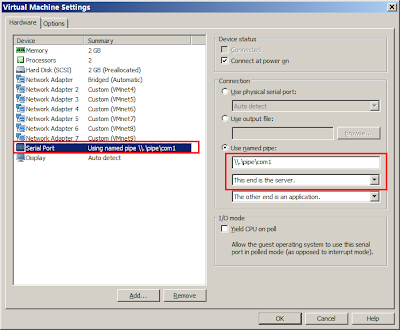 Use named pipe tcp proxy to send serial port info to a named pipe with tcp port configured. Also changed configuration from "this end is the client" to "this end is the server"
Bu default IOU image NVRAM size is small not enough for complicated topology. so add IOU option -n64 into command which allows NVRAM increased to 64K. Now looks what we got for NVRAM. Now should be enough for certification importing to test PKI. BSDRP is a nice software which allows you connect your networks with a free , full functional router in complexed topology especially for testing environment. I was looking for a nice, light weighting, full functional router which can be integrated into my ESXi VMs. I already have ASA, Checkpoint, Juniper Router, vyatta, monowall, pfsense installed. Also on my Windows 2008 Hyper-v server, I got my gns3 network up with cisco stuff in it. Occationly, there is a router needed between ESXi VMs to emulate a WAN connection. I would like to get a really light weighting router between VMs. BSDRP is the best one so far I found. With a 64M memory allocated, it can run in VM without any problem to support main routing protocols. From its official web page, "BSD Router Project (BSDRP) is a open source router distribution based on FreeBSD, supporting all majors routing protocols (RIP, OSPF, BGP, PIM, etc..) that fit on a 256Mb Compact Flash/USB." The original manual is demonstrating how to do installation on Qemu or virtual box which not fit my esx settings. After one or two hours reading and searching, finally it is up and running well . Here is a list of simple steps to show how. 2. Decompress the BSDRP image file with 7-Zip to get BSDRP_1.0_full_i386_serial.img. It will be converted to vmdk file for hooking up into Vmware environment. Type following command to do converting from RAW file to VMDK file. 4. Create a vm in VMWARE and add BSDRP_1.0_full_i386_serial.vmdk as disk. Here is vm setting example: 64M memory, 2 network adapter, 1 serial port using named pipe. genisoimage -o dsl_asa.iso -J -r -v -b isolinux/isolinux.bin -c isolinux/boot.cat -no-emul-boot -boot-load-size 4 -boot-info-table -V "Gentoo linux x86" . generate a dsl_asa.iso file and then replace dsl_asa.iso in 802 vm files. 3. CPU is a little bit high than asa802 version after tested . 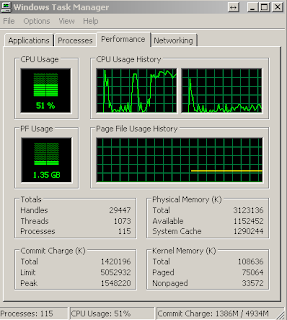 One core is used alomost 100%. Booting period is longer than asa802 too. I will still stick on asa802 for now. 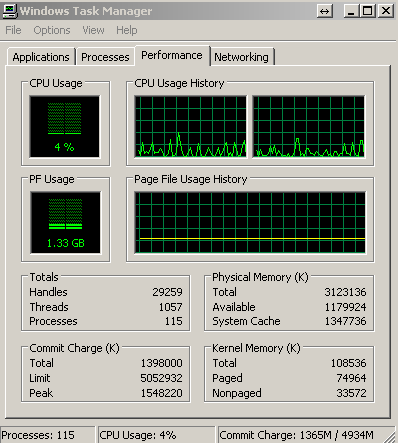 Wait the perfect simulating solution out to resolve cpu issue. note: CPU issue can be resolved with a windows software BES and you can download from here. 1. Found a post regarding ASA on vm solution in which says write issue has been resolved. Going to try it today and will post a update. DSL_ASA ISO file can download from this link. It is use COM to do output. 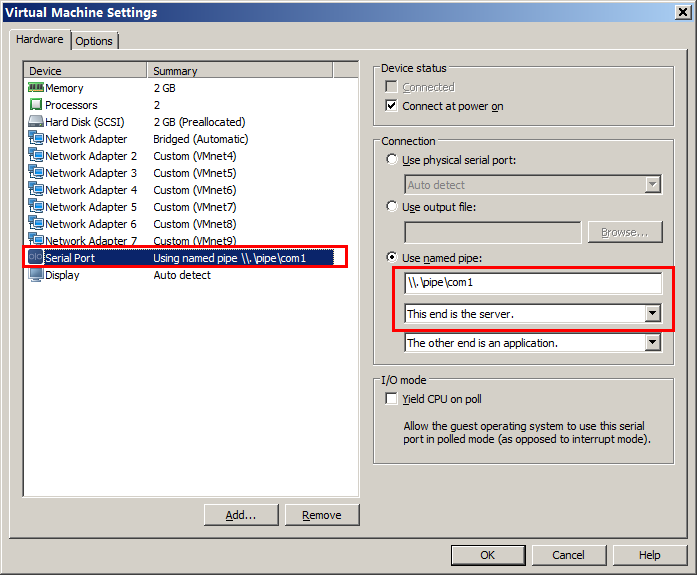 Named Pipe TCP Proxy or vmwaregateway.exe will help VMWARE to transfer COM output to a TCP port. At host machine, do telnet localhost PORT. Then DSL interface should be up. Enter ./asa/bin/lina (there is . in the command, do not forget for those new to linux)to go into ASA interface. System image file is "Unknown, monitor mode tftp booted image"
note: Please make sure you are using IDE mode for your vmdk file. Also 0.256G should be enough for your virtual ide disk. 3. Save file. Wr won't work. Please use following command to try. Your disk0 should have right file structure to allow you save file. Unfortunately, copy run to start is not work as expected. Even tried to copy running-config disk0:/.private/startup-config, got same error. 4. reload your vm, your change should be able to survive a reboot. CPU is really low. 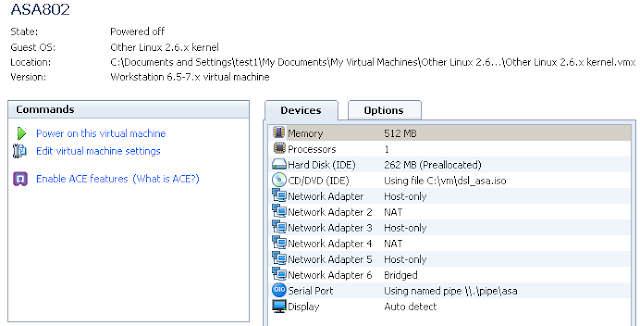 All your nic can be connected to this vm without any problem. Not sure multicast issue existing or not. will try and post later. Note: ASA 8.4.2 has been running quite good in my machine with BES resolved CPU issue.